The Orthopedic Center of St. Louis provides the highest quality comprehensive care for your orthopedic problems under one roof in a convenient personalized setting. So that we may quickly and accurately diagnose injuries, we have state of the art diagnostic equipment located in the same building as our Center. This includes high quality digital x-rays on the 2nd floor of the Center. Two high resolution MRI scanners at Imaging Partners of Missouri and MRI Partners of Chesterfield, and a CT scanner at CT Partners of Chesterfield on the 1st floor. Electrodiagnostic testing is available on the 3rd floor of the Center. Physical therapy services are available on the 3rd floor to institute therapy the same day as your visit to The Orthopedic Center of St. Louis, if necessary. Physicians at The Orthopedic Center of St. Louis have an ownership interest in some of these facilities. You have complete freedom of choice as you select your providers. We will be happy to provide you with the names of other service providers if you would prefer, and our offices will coordinate setting up appointments with a provider of your choice. 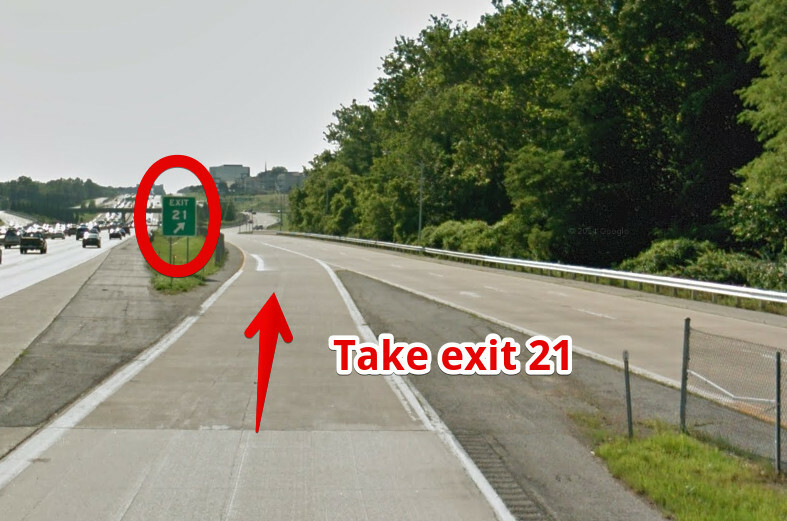 Exit Timberlake Manor Parkway (Exit 21). Turn left at the stoplight and cross over highway 40. 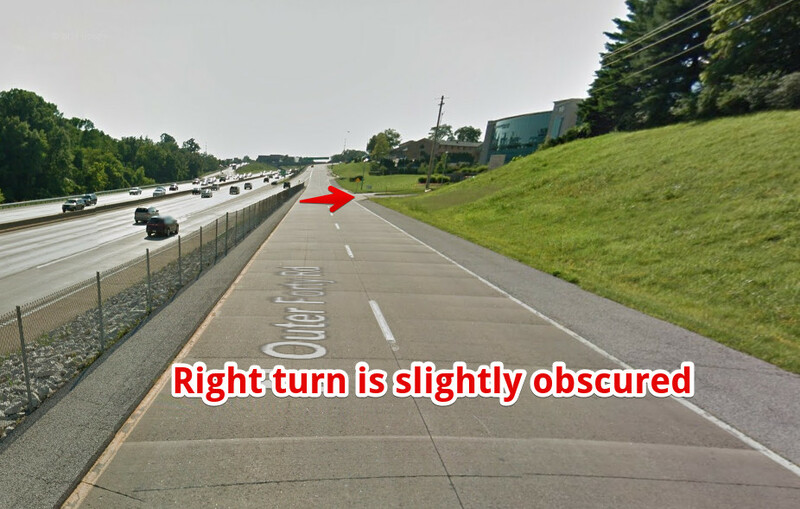 You will immediately come to a second stoplight where you will make a left onto N. Outer Forty Road. Proceed west for 8/10 of a mile. You will pass Bonhomme Presbyterian Church on the right hand side. Prepare to make a right into our entrance. See pictures below of North Outer Forty and our entrance. 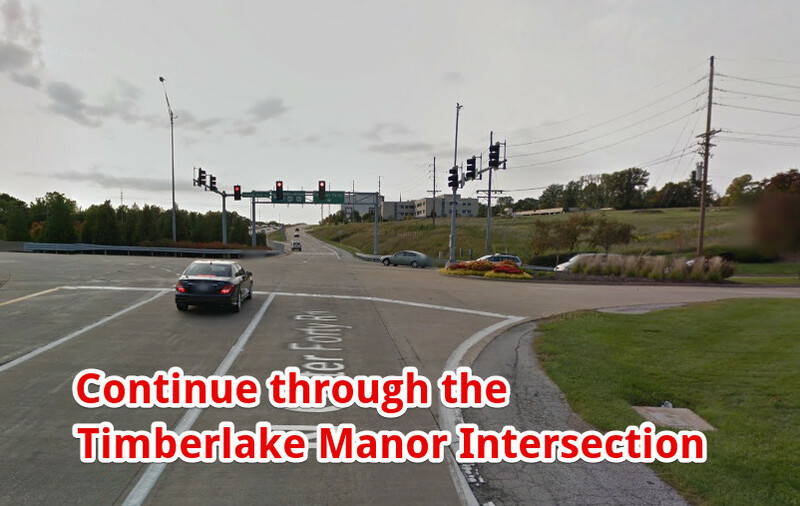 Exit Timberlake Manor Parkway (Exit 21) and merge into the right hand lane, which becomes N. Outer Forty Road. You will eventually come to a stoplight. Go through the stoplight and proceed west for 8/10 of a mile. You will pass Bonhomme Presbyterian Church on the right hand side. Prepare to make a right into our entrance. See pictures below of North Outer Forty and our entrance. Please note that N. Outer Forty Road is a one-way street and our only entrance may be easy to miss if this is your first visit. See the entrance picture above. The only entrance is just before the Delmar Gardens building. 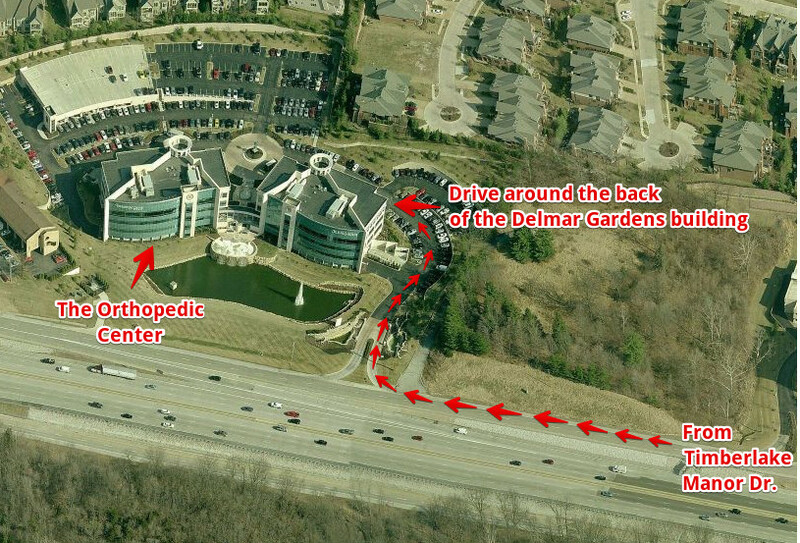 Take that entrance and follow it behind the Delmar Gardens building to the second building which is ours.